Brexit has been dealt a fresh blow after the majority of Britons want now to remain in the European Union, according to a new poll. Data collected this month found there has been a swing of people who now want to remain in the EU to its highest margin since the referendum, with 51 per cent now wanting to remain inside the EU while just 41 want Brexit. And the data collected also found that once 'don't knows' were encouraged to pick leave or remain, or excluded, remaining in the EU gained an 11 point lead over leaving - making it the biggest gap since the June 2016 vote. 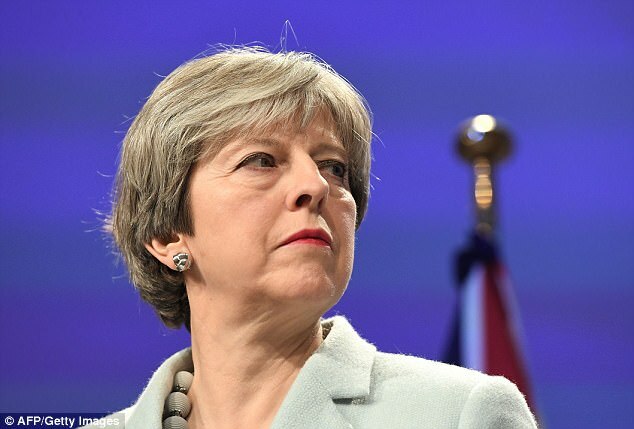 The result of the polling comes after a difficult few weeks for the government, after the EU and Theresa May eventually came to an agreement on the Northern Ireland border. 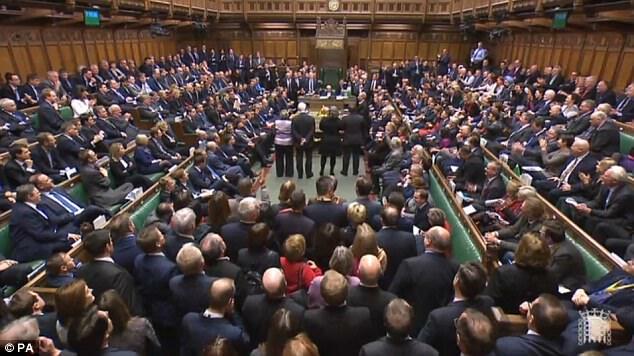 The Prime Minister also suffered a damaging defeat in the House of Commons this week after MPs voted they, and not the Government, should have a 'meaningful vote' on any Brexit deal. The latest set of polling by BMG Research for the Independent indicates British voters are gradually turning their backs on Brexit. 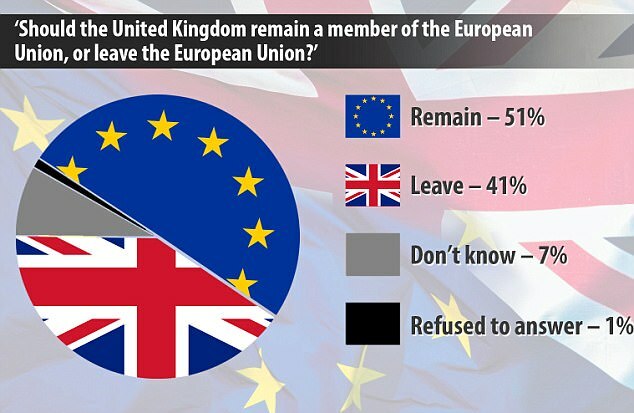 When a weighted sample of nearly 1,509 people were asked 'Should the United Kingdom remain a member of the European Union, or leave the European Union?' between December 5 to 8, 51 per cent backed Remain and just 41 per cent said they would Leave. Just seven per cent said they 'don't know' and one per cent refused to answer. Once the 'don't knows' were made to chose or excluded, 55 per cent wanted to say in the EU while 44.5 per cent supported Leave. BMG Research head of polling, Dr Michael Turner, said: 'The last time Leave polled ahead of Remain was in February 2017, and since then there has been a slow shift in top-line public opinion in favour of remaining in the EU. 'However, readers should note that digging deeper into the data reveals that this shift has come predominantly from those who did not actually vote in the 2016 referendum, with around nine in ten Leave and Remain voters still unchanged in their view. BMG Research's polling interviewed a representative sample of 1,509 adults living in Great Britain between December 5-8. Data was weighted and BMG are members of the British Polling Council and abide by their rules.